What is the single biggest issue of concern to this movement? How many people would show up? Are the people in this movement normal? Let me answer these questions in reverse order. Yes, the people in attendance were normal. I wanted to see for myself, because Speaker Pelosi and President Obama suggest otherwise. It is true that they recited the Pledge of Allegiance without flinching. And they belted out a heartfelt rendition of the National Anthem. Are those normal occurrences at rallies attended by liberals? Perhaps. One fellow had a small American flag protruding from his hat. The overall sense that I had from the crowd is that they love America. The Des Moines Register reported that about 1200 people attended the rally. Sounds good. It’s hard to estimate large crowds for me. The group was energized by the speakers, passionate about the message. So what is the message? Is there a single theme? Yes. The Tea Party Movement is all about independence. The speakers talked about the size of government, about runaway government spending, about government intrusion into our lives in ways never intended by the Founding Fathers. To quote Ronald Reagan, they want big government off their backs. Ultimately, they agree with the first Democratic President, Thomas Jefferson, who said the government that governs least governs best. Ultimately, they believe a government governs best when it makes people stronger by breeding independence. Ultimately, they believe that the current direction of the country is exactly wrong, that we are weakening the very fiber of America by breeding government dependence. I saw several Republican candidates at the rally. However, Republicans would be sadly mistaken if they think this is a Republican crowd. The Tea Party exists partly because Republicans didn’t act like Republicans when they controlled the Congress and the White House. A reminder to Republicans: President Obama is still more popular than you according to the RealClearPolitics polling averages (http://www.realclearpolitics.com/). Republicans can pick up a lot of Tea Party votes if they act like Republicans. If they regain power, will they exhibit the same political resolve that Mr. Obama and Ms. Pelosi have demonstrated in advancing their big government agenda? 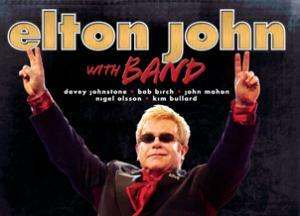 I had the pleasure of attending my seventh Elton John concert last Friday night at Wells Fargo Arena. Read more about it on the music page. What is the glue that holds this great nation together? Think about it. The foundation of any family or nation is its shared value system. America has stood united throughout its history because, despite differences in political beliefs, race and religion, we have a shared set of values. The belief system was stated beautifully by Thomas Jefferson in the Declaration of Independence in what became known as the “National Creed.” It states what America stands for, that each person enjoys God-given rights. These rights include life, liberty, and the pursuit of happiness. 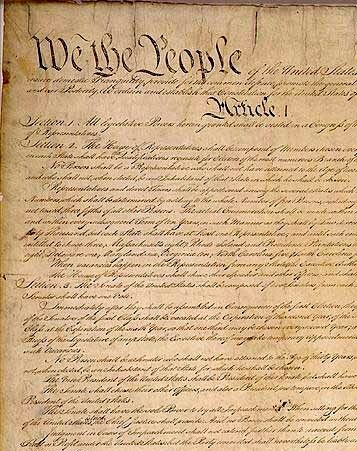 The National Creed is the bedrock of the U.S. Constitution and the Bill of Rights. And yet today, the Democratic Party adamantly rejects, in their rhetoric and their legislative initiatives, each component of the Creed as envisioned by our Founding Fathers. There is no middle ground in this clash of values. America is at war with itself. Were the Founding Fathers right? Do all have a right to life? Democratic legislators, by their actions, say “No”. They have paved the way for tax-funded abortions in their health care initiatives. They seek to revoke conscious-protection provisions that would require doctors and hospitals to perform abortions even if they have moral objections. This is a big deal. One in eight hospitals are affiliated with the pro-life Catholic Church. These hospitals employ 750,000 workers. Do rank and file Democrats really want to force these institutions to make this choice: perform abortions, which they consider to be murder, or shut their doors? Today’s Democratic Party is not concerned with liberty as much as it is with equality, even if it is at the expense of someone else’s civil liberties. Nowhere was this more evident than with the President’s nomination of Sonia Sotomayor to the Supreme Court last year. Judge Sotomayor sat on a circuit court panel that struck a blow against liberty by ruling against Frank Ricci. Mr. Ricci was a poor student, impaired by learning disabilities. He became a firefighter in Connecticut. His department announced an opportunity for promotion, which he wanted. Unfortunately, it required him to pass a test that he was ill-prepared to handle. Undeterred, he quit his second job and invested over a thousand dollars in books. Because of dyslexia, he hired someone to read to him. He studied eight to thirteen hours a day. His hard work paid off. He finished sixth on the exam, which qualified him for promotion. But the city threw out the results because no African-American fighters scored high enough to be promoted. Ricci and nineteen others sued, charging they were discriminated against on the basis of race. Judge Sotomayor said tough luck. She embraces the philosophy of the Democratic Party that promotes identity politics. Liberty can always be sacrificed in the name of equality. What about the pursuit of happiness? The Founders considered the right to property to be fundamental. In today’s Democratic Party, the pursuit of happiness has become all about lifestyle choices that are at odds with our core values. Property is something to be redistributed at the whim of the state in the name of equality. Do fundamental rights come from God? Finally, do these inalienable rights flow from our Creator? Democrats and their pressure groups, such as the ACLU, have successfully expunged most public references to a Creator. And the attacks on God continue. Just this week, U.S. District Judge Barbara Crabb, appointed to the court by President Carter in 1979, ruled that a National Day of Prayer is unconstitutional. Keep in mind that when Congress set a day aside for prayer in 1952, they didn’t tell you to Whom you had to pray. It could be Jesus, Allah, or Mother Earth. Keep in mind, a national day of prayer is an idea that’s been around since President John Adams. He called for “a day of solemn humiliation, fasting, and prayer,” during which citizens of all faiths were asked to pray “that our country may be protected from all the dangers which threaten it”. Keep in mind, if you don’t want to pray, you don’t have to! Our Founding Fathers had it right. America’s greatness and unity reside in its values. To my many Democratic friends: call your party to accountability. They have drifted too far from what this country is all about. Three Republican Presidents and two Democrats have been united in their rhetoric: we must be concerned about excessive deficits, taxation, and government spending. Each pledged to do something about it in their own way. Collectively they have failed us. Spending is out of control. Joe Sixpack is struggling to pay his mortgage, to put some food on the table, and to try to put a few bucks away to help his kids go to college. A hundred bucks is a lot of money in these economic times. So talk of government debt in the trillions of dollars is enough to make our beer go flat. I have developed a simple way to relate to the way the national government spends our money. I call it Federal Spending for Dummies. 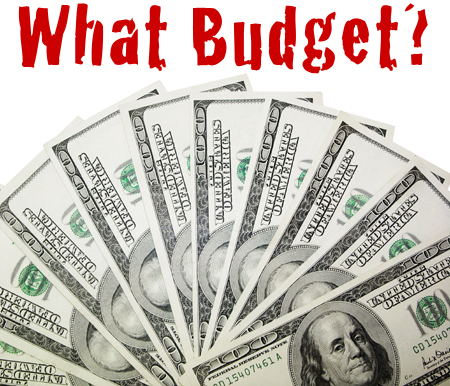 I simply take the total dollars the federal government spends (official White House numbers) and divide it by the population (according to the U.S. Census Bureau). I compare the amount the government spends per person by decade and adjust for inflation. In 1980, the Federal Government spent an average of $2498 per citizen. In 1990, the Federal Government spent an average of $4943 per citizen. In 2000, the Federal Government spent an average of $6138 per citizen. 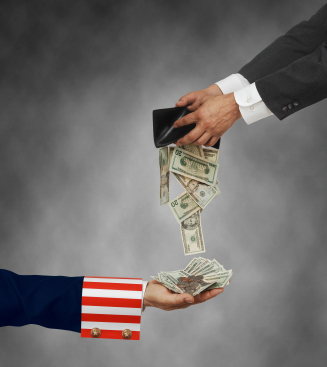 In 2010, the Federal Government will spend an average of $11,640 per citizen (estimated). If we adjust for inflation using 1980 dollars, Federal spending has climbed from $2498 per person in 1980 to $4470 today. In the last decade alone, spending has climbed $1533 per citizen in inflation-adjusted 1980 dollars. Democrats and Republicans have collaborated in this dramatic expansion of government spending. In fact, the most frugal period was the decade of gridlock when President Clinton, a Democrat, and Speaker Gingrich, a Republican, helped keep the other party’s spending habits in check. And yet, even with the modest restraint of the 90’s, federal spending has increased more than twice the rate of inflation since 1992. We have a spending problem, not a tax problem. The national debt is near $12 trillion, about 61 percent of gross domestic product (GDP). By contrast, China’s national debt is only 16.2 percent of their GDP. The Government Accountability Office (GAO), the auditor for the federal government lays it on the line to us: the U.S. is on a fiscally “unsustainable path. Has spending skyrocketed because of the war on terror? No. As a percentage of GDP we spend less today on defense than we did during the Reagan years. On the other hand, pork barrel spending is out of control. According to Citizens Against Government Waste, earmarks have increased from 13, 443 from 1991 through 1999 to over 20,000 in the past two years alone. The risks of excessive government spending deficits are significant. Either taxes have to be raised so dramatically, that the economy is crippled and jobs destroyed. Or else government spending has to be yanked back abruptly with whiplash repercussions to the country. Or else we have to inflate our way out of the mess, which creates an even worse problem. As I write this piece, a Republican was just elected to the Senate from the liberal state of Massachusetts. Ted Kennedy’s Senate seat is now in the hands of a Republican. Is this a ringing endorsement for the Republican Party? I think not. Rather, it is a ringing endorsement for restraint. It is an indictment of proposed health care legislation. It is a reflection of the electorate’s desire for moderation in government spending. It’s not too late to change our course. But we need to start now.